December 27, 2014 by Luis Umpierre Jr. and Luis Umpierre Sr.
((( Congratulations ))) to (((Wayne))) and (((Amber))) from Texas, for their first ever Grand Slam and possible today @ the San Juan Bay, Puerto Rico with Captain Luis Burgos of Bayside Fishing Charters. 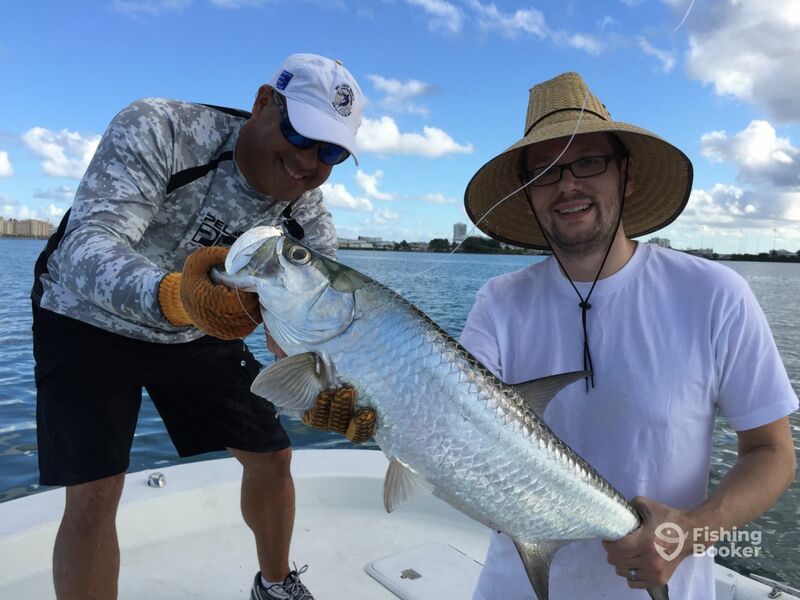 “Mucho” action and fun today fishing San Juan Bay Puerto Rico. 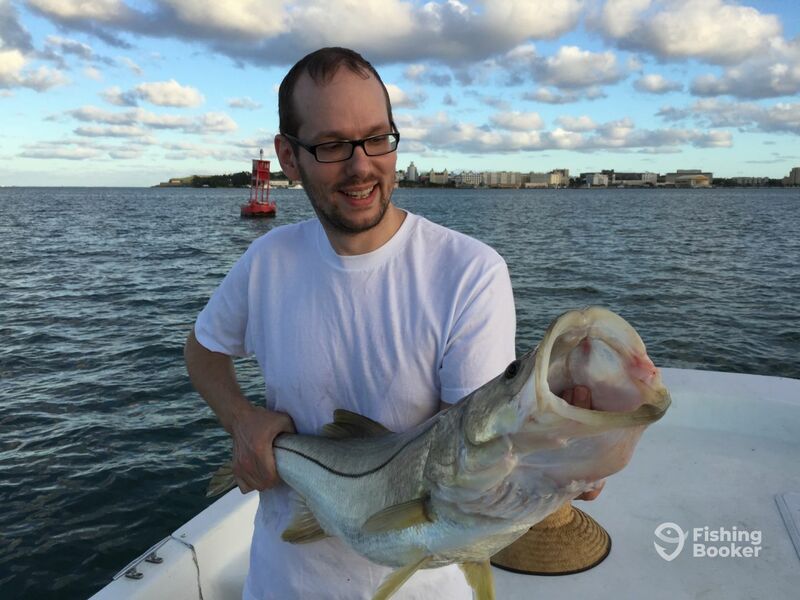 They landed 2 of 4 Tarpons, 3 big Jacks and then sealed the deal for a Grand Slam with 1 monster Caribbean Snook that gave then a interesting (((fish of a lifetime))) story that can be shared with friends and family.